Last week I showed up to teach my childbirth class raving about a delicious collard green recipe I made for dinner that night. My husband and I virtually inhaled an entire head of collard greens in two minutes flat. I will admit, this behavior was quite shocking for both of us. Leafy greens have not been a strongpoint at our dinner table recently. Errrrrr, I mean, ever. In class that evening, the topic was prenatal nutrition. I mentioned the amazing properties of collard greens and the benefits for pregnant women and their growing babies. When discussing a healthy and well-balanced diet in pregnancy, I talked on the topic of "Eating Smart". The bottom line is if you choose your foods wisely you will pack the most powerful punch into each meal. 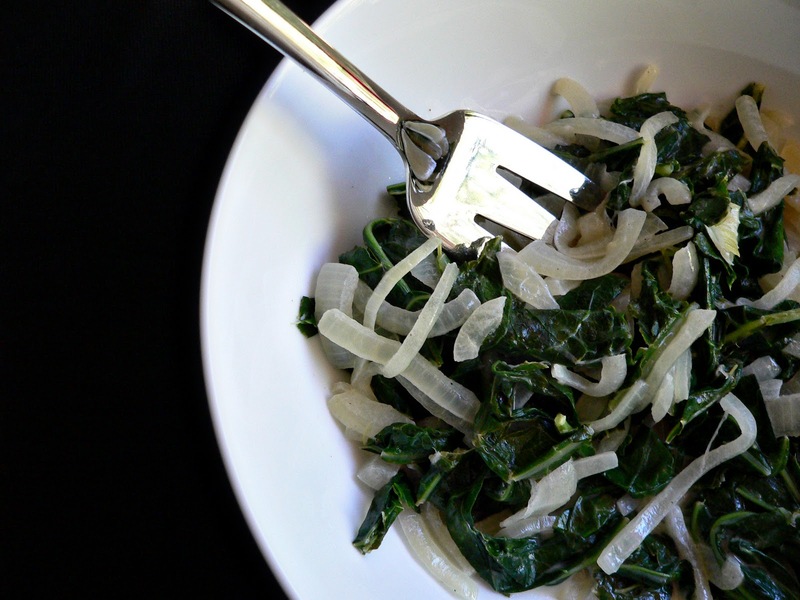 This way you get all of your essential nutrients without turning eating into a chore. Not only do collard greens pack a punch, but the coconut milk in this dish offers quite a bit of benefit as well. Coconut milk contains healthy fats and is known to be anti-carcinogenic, anti-bacterial, anti-microbial and anti-viral. Good heavens! You have to try this recipe. Go for the organic greens at the market and prepare them as soon as possible. 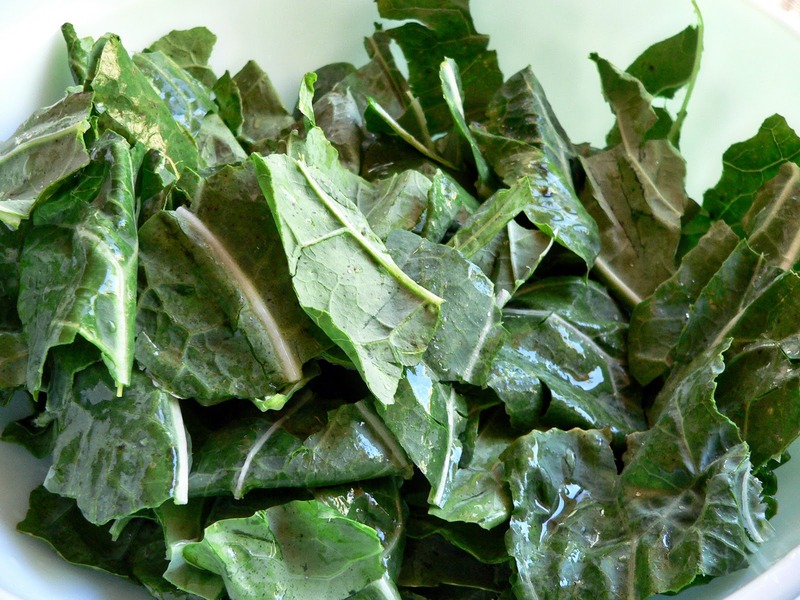 The collard greens will turn bitter if left to sit in the refrigerator too long. 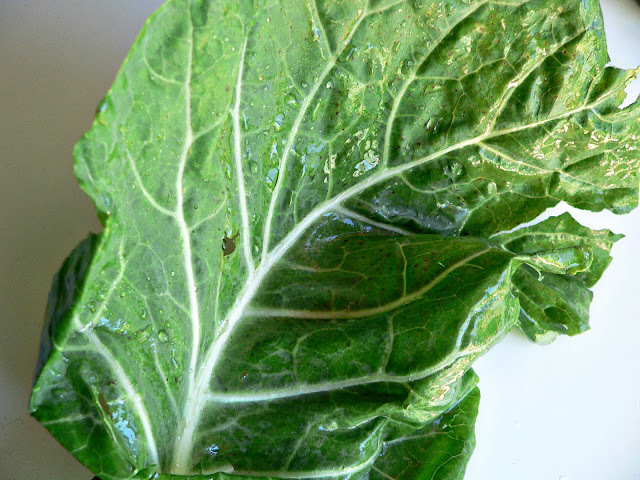 Also worthy to note, the smaller the leaf on the collard green, the milder the flavor. Wash the leaves of the greens from all dirt and sand. Wash well. Gritty greens are never very tasty. 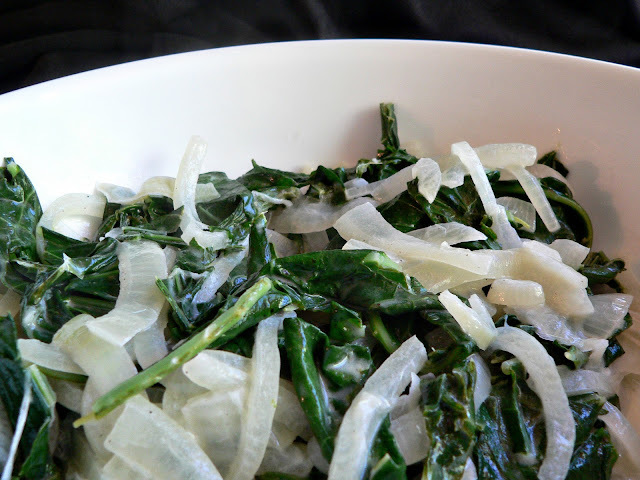 Tear the leaves apart away from fibrous stems. Dispose of the stems. Set aside. 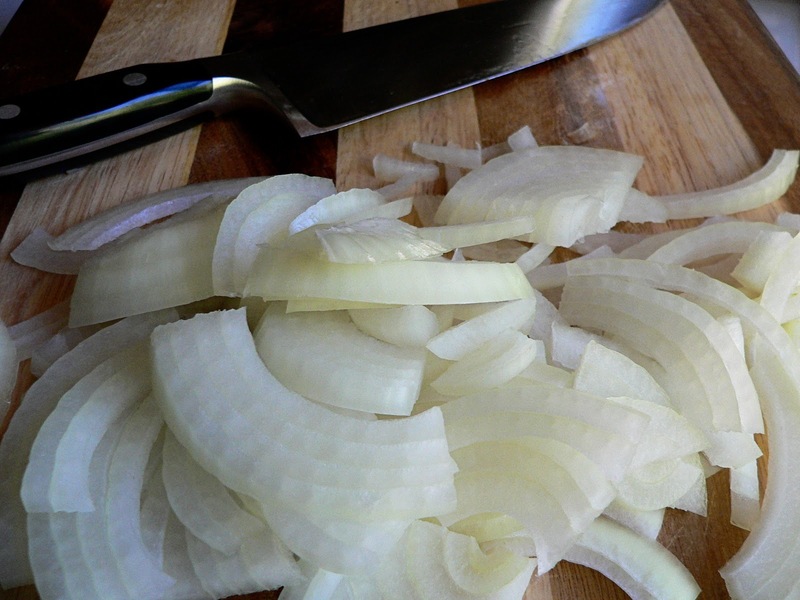 Slice the yellow onion thinly. Set aside. 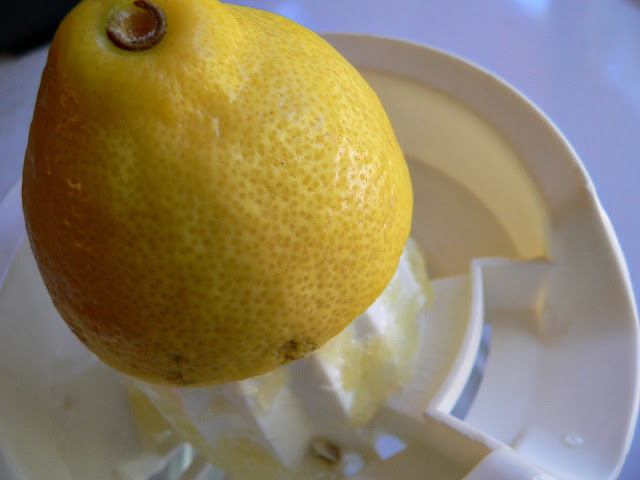 Juice that lemon. Set aside. Once the water is boiling, add some salt and the torn greens. Cook for 2 minutes. Drain well and set aside. Heat grapeseed oil in a large skillet over medium heat. Add sliced onions. Gently salt and cook about 5 minutes until soft and translucent, stirring often. 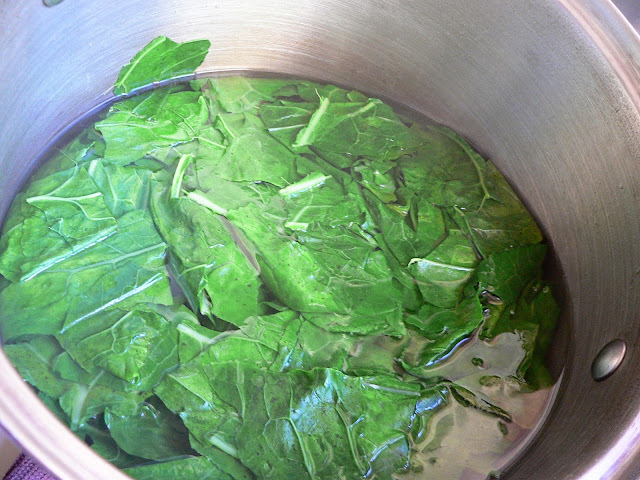 Add the well-drained collard greens. Gently salt and cook about 2 minutes, stirring the entire time. Add 1/2 cup coconut milk and 1/2 TBS lemon juice. Stir well and gently simmer about 5 minutes or until tender. Season with salt and pepper to your liking. Serve hot or cold. Oh boy, this sounds good! Really nice recipe and beautifully conveyed and illustrated. Thanks for the Attaboy too ~ Wow!